Letter of THANKS to our community! Thank you to the generous people in our community who care for others by giving to Eleanor’s Pantry. Recently, the Paw Paw Village Players collected both food and monetary donations for us from their “basket” night held during their one act performances. Contributions like this are especially important for the pantry. Yearly, Honor Credit Union has chosen to support Eleanor’s Pantry. Their generous gift of $1,500 truly helps us continue to help feed the food insecure families in our area. 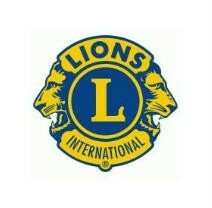 We thank the Paw Paw Lioness Club for once again donating $1,000 to the pantry. We appreciate their kindness and care. Please continue to bring us your Family Fare receipts for the Direct Your Dollars campaign. 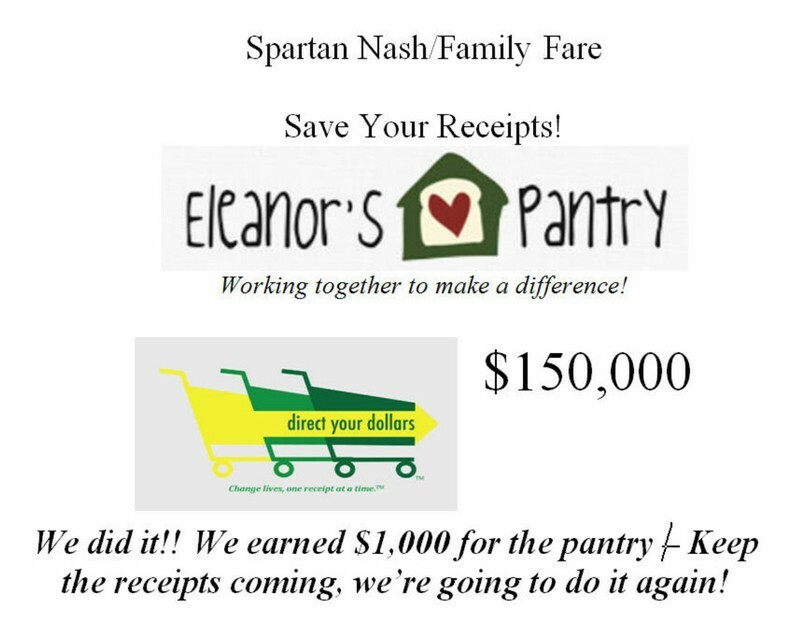 We have already met the goal to earn $1,000 from Spartan Nash, and we’re well on our way to receive another $1,000. The thousand children and adults, that receive a once a month 4 day emergency supply of food, are grateful to the individuals, families, churches, organizations, and businesses that make Eleanor’s Pantry possible.